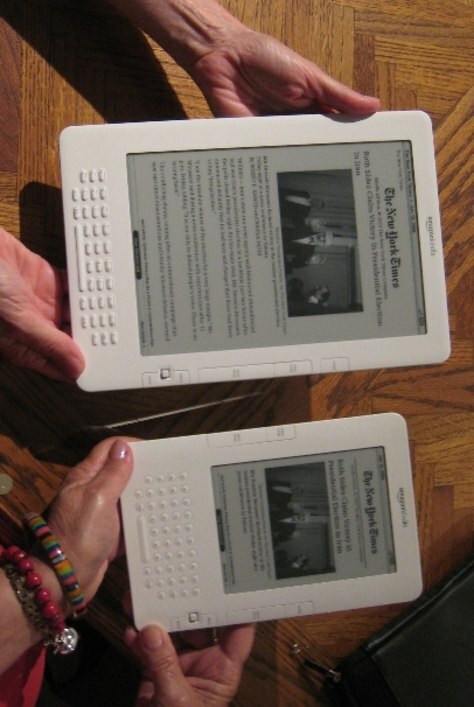 The 9.7-inch display of the Kindle DX, left, as compared to the 6-inch screen of the Kindle 2, right. The larger electronic reader costs $489, compared to $359 for the Kindle 2. The DX will be used for textbooks on some college campuses this fall.